Québec’s health network includes 18,000 physicians, more than 230,000 employees, and a $27 billion budget originating in large part from the daily work of our fellow citizens. It serves a population of 7.5 million persons, all covered by public insurance, who need services seven days a week, 24 hours a day. Running this system leaves very little time for reflecting on broad strategic orientations, so it is only now, a year after leaving office, that I am able to really focus on what government can (and should) be doing to improve health care delivery. Name and protect the principles that will guide decisions. Before talking about decisions and actions, explain to people what principles those decisions are based on. Accept that we do not have the best system in the world, that we can learn from others and that we have in our hands the tools we need to succeed. Insulate the delivery of health care services from partisan politics. Resist the notion/discourse of fatalism. Learn to manage demand, not only ration supply of care. Choose and name a few priorities, explain them and stick to them. You cannot have 200 priorities. Keep in mind the importance of prevention/promotion and the determinants of health. Develop a true partnership with the medical profession. Communicate regarding complex issues, trust the intelligence and judgment of our fellow citizens (they never disappoint) and better-informed media (count on disappointments). Before debating on structures, organization, the role of the private sector or other aspects of health care delivery, it helps to name the principles embraced by a large majority of the citizens of our country. Solidarity, for example — the conviction that a society is more than a collection of narrow individual interests — manifests in health care as universality: All citizens must be protected (covered) and share both resources and risks. This principle is so important in Canada that it has come to be one of the determinants of our collective national identity. But the principle of universality does not dictate one particular type of health system. Many other countries have built on identical principles and created health care systems that are very different from ours, starting from different traditions that use funding either from general taxation (Beveridgian systems) or employment-related social insurance (Bismarckian systems). More and more hybrid models can now be seen around the world. In Canada, we must learn that the system is supposed to express our values, not become a value in itself. Unfortunately, through a regrettable assimilation of the two notions, any voice demanding changes to the system is immediately condemned in what I have often called “misplaced sacralization,” a major obstacle to change. I am convinced that the preservation of a rigid status quo is as threatening as are propositions advocating unregulated, free market reforms. We should look at models from other countries, and especially Europe, but we cannot import European systems “en bloc.” Differences in society, the continental context, history and territory must all be recognized. But we should study other models with the objective of reaching similar levels of performance. In the field of population health we do quite well, though we have been losing some ground in recent years. We must continue to address the low level of citizen satisfaction due to difficulties in accessing services, in order to better serve the individual while keeping our collective principles intact. Without destroying what already exists, a few incremental, intelligent changes would allow us to do much better and incorporate into our system what it lacks and needs: competition and choice. It is not necessarily good for the state to assume so many different and potentially conflicting roles: payer, regulator, service provider, quality control. This is a lot to impose on one person or institution. Also, we must ask whether the person at the top of the organization providing services should be an elected person, therefore subject to the influences (good and bad) of partisan politics. Roles could be better defined and distributed. The mission of the Ministry of Health should be “macro” funding, policy, strategic planning, regulation and control of results in terms of quality and safety. I do not think we need to replace our single public insurer by private insurers, as we lack the long tradition of social insurance present in some European countries. But neither do I think it absolutely necessary to have a single public insurer in order to achieve universality. Daily administration, broad decisions and accountability for results should be left to a public, not for-profit organization as defined in the Canada Health Act (CHA), which by the way does not need to be modified, only interpreted differently. We should just do what it says and not attribute meanings that are not there. The first principle of the CHA is public management by a non-profit organization. It says nothing about the delivery of care, which could in my view be private, public or mixed with a single payer and still be totally compatible with the CHA. This public organization would then administer the network and interact regionally with providers, both public and private. While still in office, colleagues from abroad were always surprised by the fact that the Minister here was questioned on an almost daily basis about local events — what happened at this emergency room or that long-term care institution — about which he is never completely informed nor responsible for. Should there not be a distance between the Minister and the system? Should not the elected person ask questions and demand results in the name of the citizens who have elected him or her? When I was in politics, people accused me of trying to disguise reality and present a rosy picture to the public. All countries, regardless of the nature of their systems, face the same cost and demographic challenges. No one has yet managed to find the miracle solution… as we say in French “si ça existait, on l’aurait.” We must accept that there is a rate of spending increase (i.e. higher than the growth of the GDP) that must be kept within manageable limits. To really lower the cost of health care below that level, we could opt to de-list vast sectors of services, lower compensation levels for professionals, delay even more the introduction of technology and pharmaceuticals. Or we could go beyond rationing of care and choose competition and choice as a way to keep costs under control. The emergence of the citizen-consumer is a new social phenomenon, as important and decisive as demographics, technology and pharmaceuticals for the future of health care services. This citizen-consumer is informed by many sources (Internet in particular), and no longer accepts the traditional trade-off between a public system and long wait times. The expectation is for accessible, high-quality, safe services within an acceptable wait time. The new citizen-consumer is ready if necessary to take matters into his or her own hands and deal directly with private service providers. This is taking place as we speak on a daily basis, and the phenomenon has been gaining strength over the past few years. If we continue to ignore this trend, we will contribute to the development of a parallel, unregulated, almost clandestine network, which low-income people will never be able to access. If, on the other hand, we pursue the regulatory effort started particularly after the Chaoulli ruling, and if we cautiously introduce competition among providers based on prices determined by the single payer, we will be able to put all our society’s resources to work for the benefit of a larger group of citizens. This small change, made elsewhere with success, will not undermine the foundations of our society, and public providers will not always be on the losing side. Experiments in concentrating high volumes of certain procedures in a few hospitals have proven successful, and the public system can become more efficient if it has an incentive to do so. If we continue to do this and to introduce more competition based on price, we would accelerate the transition of hospital funding to an activity-based model; this is quite simple to do for surgery, laboratory and imaging services. We should, however, be cautious about extending activity-based funding to more complex and multifaceted clinical situations, such as heart failure or diabetes, as it is likely to produce lengthy conflicts and significant administrative complexities. Offering choice and competition requires that we also promote transparency and the divulgence of clinical results and performance. Health commissioners, hospital report cards and other benchmarking measures are essential to increased choice and competition. Managing demand means exploring other avenues besides user contributions/user fees, which have never demonstrated effectiveness in either funding the system or modifying patients’ behaviours and choices. A rigorous, evidence-informed policy of introducing new technology and pharmaceuticals and best clinical and administrative practices based on international examples should be adopted. 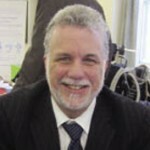 In Québec, we should proceed with the implementation of an equivalent of the British National Institute for Clinical Evaluation (NICE), as recommended by Claude Castonguay in 2008. We must also continue to introduce significant financial incentives through negotiations with the national and provincial medical associations. One of the reasons physicians collectively resist change is that they are concerned it could affect their income. We have to face this concern openly and emphasize the potential for increased earnings if physicians respond to incentives to transform their practice and follow people differently. Québec opened that avenue by introducing productivity links in agreements with physicians. It is important to continue along that path. Governing involves deciding on priorities, explaining these choices, keeping on course and adjusting that course as we move forward. There is general agreement among most stakeholders about health care priorities (see below). Government efforts to improve population health mean acting outside and beyond the care system as well as within it. We must become convinced of and well informed about the importance of the determinants of health, and work to promote education, improve the quality of the environment, fight poverty and insecurity, and act early on behalf of preschool children, particularly in underprivileged areas. The unavoidable consequence of making these choices is to limit the budget allocated to the system of care in order to allow a broader approach. The role of the Minister of Health in such an environment becomes even more challenging, because it is incumbent on him or her to manage resources in such a way as to promote other important missions of the state that also play an important role in improving population health. The inherent imbalance between resources and needs in health care is a reality that everyone knows and accepts. All needs cannot — and will not — be met. The decoupling of needs and available resources is a feature common to all health care systems, except those in which access depends only on the financial capacity of the individual, a model clearly rejected by the majority of Canadians. Certain spokespersons of the medical profession often repeat that Canada is an outlier because it does not allow duplicate insurance and dual private/public practice for physicians. This is both incomplete and untrue. European countries strictly regulate these activities. In some cases, duplicate insurance is offered with financial support from the state, while elsewhere insurers are non-profit organizations. The private activity of physicians is regulated almost everywhere. We often forget about another element that marks Canada as an outlier: We are the only industrialized country where physicians practising in public institutions have been allowed to remain free entrepreneurs, without a hierarchic link to the management of their hospital. No other system allows that. Even in the US, a physician working for Kaiser Permanente is under the strict control of management. I call this the great compromise (some may say the Faustian bargain) of 1970. Many physicians openly opposed medicare at that time, and the ability to remain independent was the price of physician support. This compromise has always been a source of tension and difficulties. No other organization could operate with its main cost generators totally outside its control. Yet this is what governments in Canada have been doing with varying degrees of success over the last 40 years. I am not suggesting that we should wind back the clock and reduce physicians’ professional autonomy, which has in general worked to the benefit of patients. But we should recognize these facts and establish a true partnership with the medical profession, with common objectives linked to significant financial incentives rewarding access, quality and safety of care. The state must clarify its role, and withdraw from some activities to concentrate on its core missions and the determinants of health. It must learn to manage demand through best practices and a true partnership with health professionals. Competition as a positive and creative force should be introduced cautiously, under the guidance of a single public payer and acknowledging choices made by citizens. This does not mean in any way abandoning or diluting our shared principles. The prescription for government is ambitious, but relatively simple to accomplish. In this field of human activity as in others, the choices we make will define our degree of humanity. In the end, this is what our generation will leave to the next one. Act on the shortage of human resources by adding people, but also (or mainly) by redefining roles and promoting interdisciplinary teamwork. This shortage is an absurd consequence of management by rationing supply that has been the rule until now. Deploy new technology: electronic medical records, digital imaging, minimally-invasive techniques. Continue to intensify efforts towards prevention and healthy living, while being realistic as to the real savings to expect from this. The great challenge of prevention is that it succeeds by creating a non-event, which is rather difficult to measure. Prioritize primary care teams, which means more than just family medicine. Adapt the system to meet the needs that come with chronic illness (including mental health) and aging by continuing the shift to community-based care. Complete the transition to activity-based funding in hospitals, starting (and maybe ending) with the low-hanging fruits of surgery and laboratory and imaging services. Impose transparency and accountability (including publishing complication and mortality rates of certain procedures, data on nosocomial infections, and other quality indicators adapted to the type of institution in question) and make these data public with the collaboration of an independent partner. There is a great degree of resistance to this in the network, but I would advise the hospital network to get involved and be an active participant in this type of disclosure. Focus the work of the Ministry on funding, strategic planning, and quality and safety. The recent issues around breast cancer pathology labs show that the Ministry has been so absorbed by managing the system that it has left aside what should have been its core mission, promoting and verifying the safety of care. The daily management of care should be left to regions and institutions with defined targets, and managers should be given significant incentives to reach these targets.